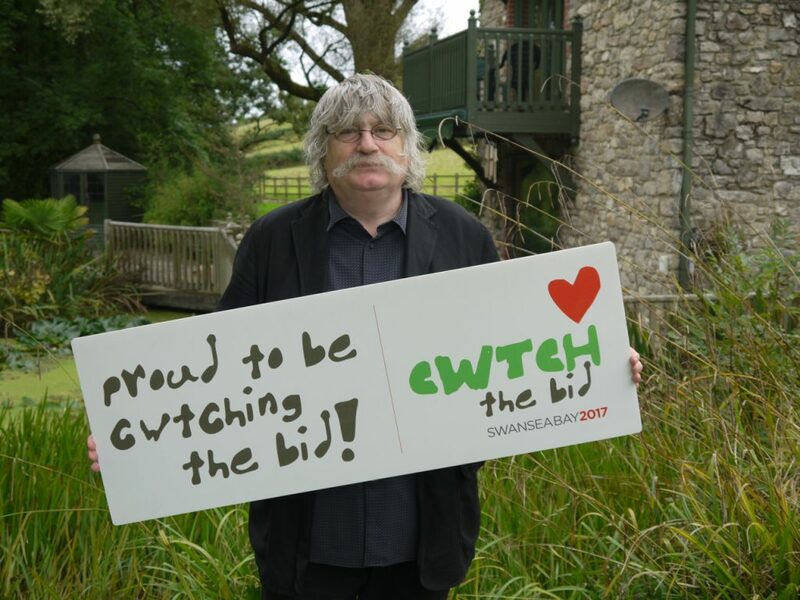 The City and County of Swansea Council, in partnership with Carmarthenshire Council and Neath Port Talbot County Borough Council made a late decision to bid for the status of UK City of Culture 2017. The brief allowed us just over 3 weeks to assemble a first phase bid, which other competing cities had been developing over months or years in some cases and with significantly greater budgets, with the goal of reaching the short list. We made it happen. One of our guiding principles was that culture was about our way of life – it was as much about a visit to a gallery or going to the theatre as it was about: surfing; a visit to watch the Swans play Premiership football; your teenager playing guitar in your garage; young children going to ballet; or a walk in our countryside or on the beach. Generating a belief amongst the general population that culture was ‘theirs’ and that they engaged with and shaped culture daily was a cornerstone of our bid and was one of two key approaches to getting people to engage – the other element was to raise an awareness of the cultural assets we have (in terms of people/organisations, places and our remarkable heritage). We assembled a wide array of stakeholders from the public, private and third sectors as well as individual members of the community and developed a series of extremely swift workshops to generate buy-in and establish a clear set of criteria for the bid. 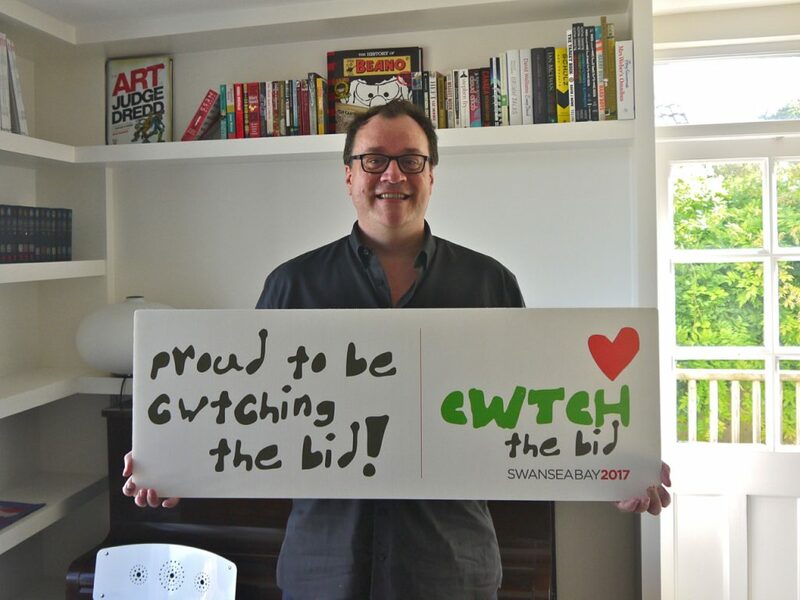 We developed the ‘Cwtch The Bid’ campaign and brand (run bilingually), which involved: a social media campaign; a PR campaign featuring over 30 celebrity supporters, including Michael Sheen, Bonnie Tyler, Rhod Gilbert, Russell T Davies, and Michael Laudrup and the Swans. 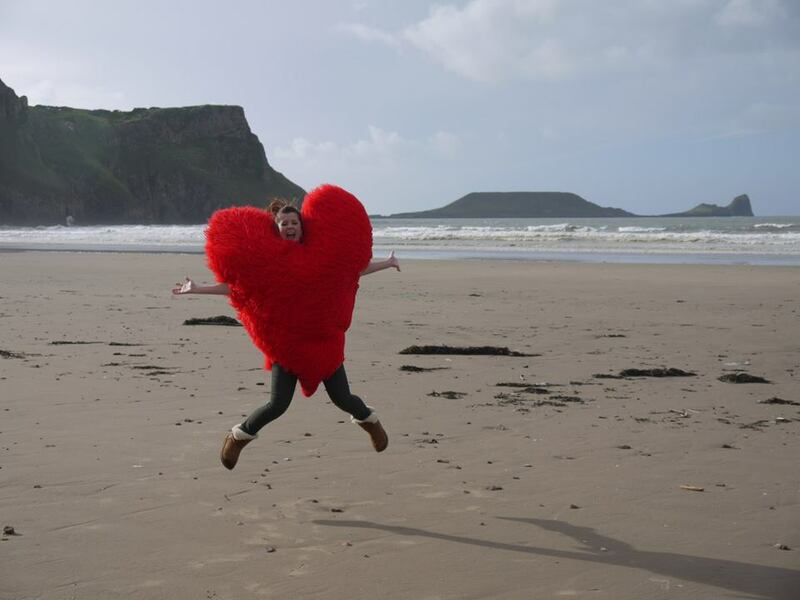 We also liaised with business support organisations such as Swansea Bay Business Club, South Wales Chamber of Commerce and Swansea BID to send packs to all their members. We also worked on joint initiatives with businesses such as Joe’s Ice Cream launching a ‘Cwtch The Bid’ sundae and First Bus carrying free ‘Cwtch The Bid’ banner advertising across their fleet; and we established an innovative and popular roadshow with a ‘Cwtch caravan’ and series of pop-up events and gigs alongside a programme of school visits throughout the region. Our initial work on a fraction of the budget and time that other cities had got Swansea Bay to the final 4 shortlist from an initial longlist of 11 competing cities, beating off very strong competition. 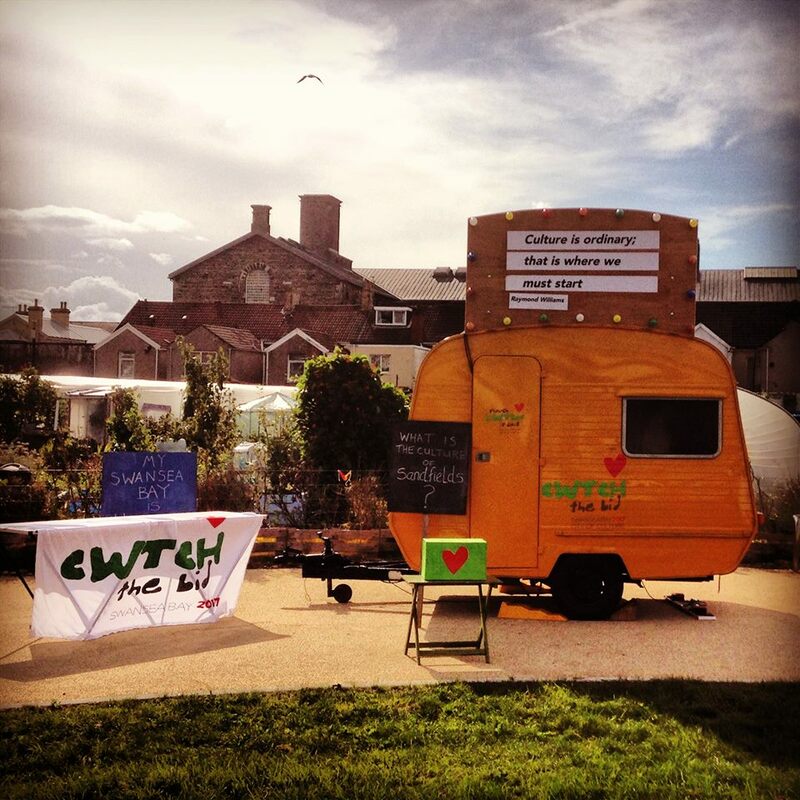 The Cwtch the Bid campaign succeeded in attracting a huge array of support from across the region, developing along several strands that were intended to inform and educate people about the campaign, challenge preconceptions about what culture means (effectively that culture is for everyone and not an elite activity), and providing positive, inspirational content featuring the cultural output of the local area. 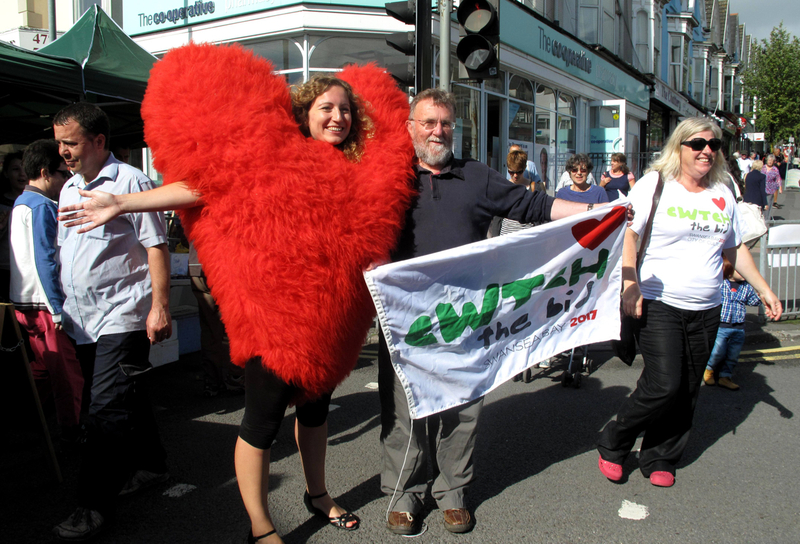 Particularly, it got people to understand, value and want to engage with culture in the area more. The bid was praised for its authenticity and a number of innovative elements by the independent panel that awarded the title. Although the title was eventually awarded to Hull, Swansea Bay’s campaign gained widespread credit, with the City Region gaining considerable nationwide coverage and winning a ‘popular vote’ with a ‘favourites’ status amongst commentators. 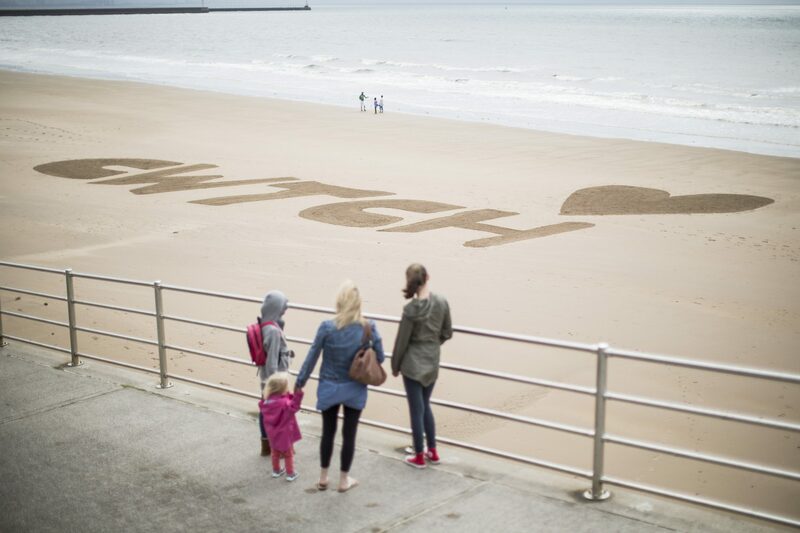 The bid left a legacy and appetite in Swansea Bay to continue the momentum it created and the Local Authority is now using our work as the basis for its cultural strategy and development as Wales’ Capital of Culture. You can have a look at the phase 2, post shortlist bid document by clicking here SwanseaBayCityOfCulture2017FullAndFinalBid. The bid formats at each stage were restricted in terms of: the section headings and required content; standardised tables; and with word limits per section. The key was to ‘sell’ the concept to the panel (who, unlike European City of Culture processes) did not visit the bidding cities, meaning that the whole pitch had to be focused in the bid documents and working within the prescribed document format.